The Girard-Perregaux Manufacture, the pillar of its independence and creative force of the legendary Swiss watch brand conceives, develops and produces the components and the movements of its watches. In the logic of this global approach, it joins forces with the Group’s case and bracelet factory, the “Ateliers Bautte”, whose ultra-modern machine park enables the processing of a wide range of materials. Particularly innovative calibres are developed thanks to the Research and Development Department, as evidenced by its collection of fascinating “Haute Horlogerie” complications. Girard-Perregaux is thus able to offer an extended range of both mechanical and quartz movements. It has notably a complete range of automatic mechanical movements. Symbolic of the Manufacture’s wealth of own production facilities, the four families presented here can equip all types of gents and ladies watches. These four base calibre models act as the back born of Girard Perregaux mechanical timepieces. 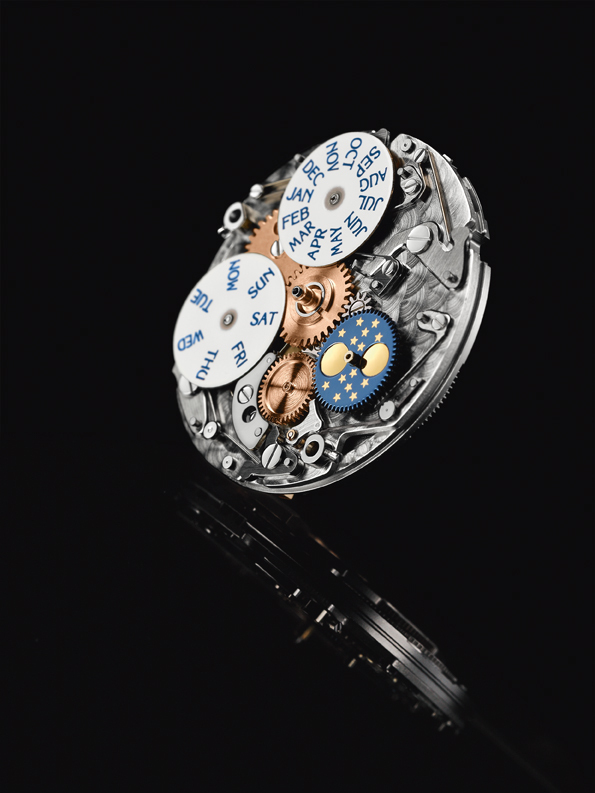 A brief description about Girard Perregaux calibres and complications is given below.